Being on the precipice of a new year, many hunters are reliving the past season’s successes and missed opportunities. It’s no different for bow hunters. The only exception is they have an equally important thought on their mind. What is next for compound bows in 2018? Watch our review a few of the best new bows for 2018 from Bear Archery® at Whittaker Guns! Compound bow hunting is as strong as ever. This benefits the bow hunter for two reasons. 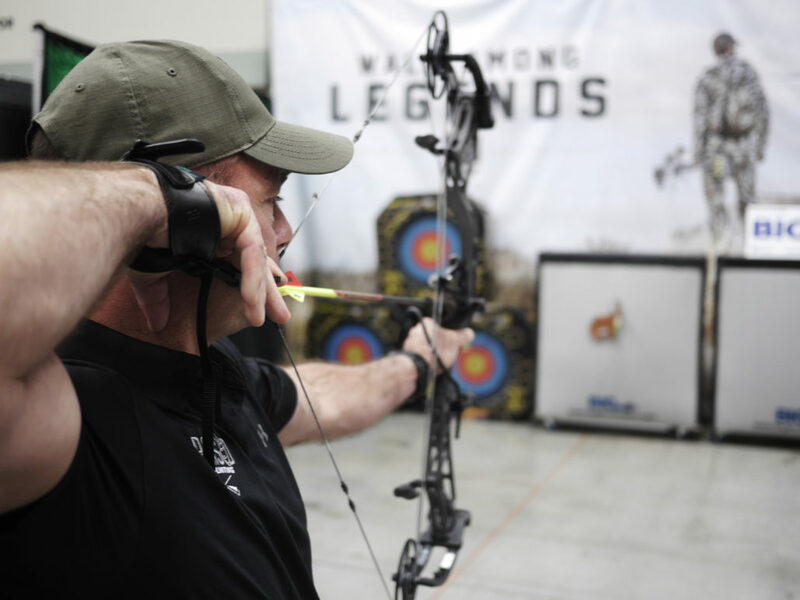 The first is that compound bow brands like Bear Archery® are continually innovating. Noise damping technologies like SonicStops™, a string vibration eliminator, and the Lock Down Pocket System, which provides the industry-leading riser-to-pocket-to-limb alignment accuracy are just a few of the innovations Bear Archery® is incorporating into their 2018 compound bows. The second benefit is that these innovations are happening every year. Each year there are new technologies around compound bows to shoot faster, shoot more accurate and take bow design to new limits. 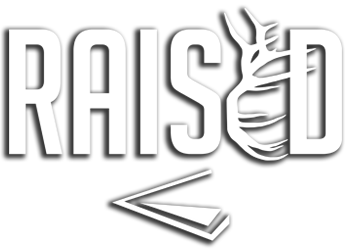 The success of the Bear Archery® Moment this past year was not enough for one of the leading compound bow brands. For 2018, four new bows make their appearance. These bows are the Kuma, Sole Intent, Approach, and Species. The new lineup of compound bows continues to push the limits on speed, with the Kuma pushing the 345 fps mark. Also, the best hunting bows for 2018 are quieter than ever and these are no exception. Bear has loaded each with their latest vibration and noise reduction technology to give you the quietest and deadliest bow for hunting. The Kuma brings together both speed and comfort, with the top speed bow from Bear coming in at 345 fps. The Kuma is smooth and quiet. The unique design and manufacturing technique used to build this bow gives it superior accuracy in a lightweight frame. The Kuma also offers an LD model that features a longer draw length. The Kuma LD is available in a 46-60 lbs. and 55-70 lbs. peak draw weight models. Kuma LD $899.99 4.3 lbs. 6.5” 33.25” 80% 45-60 lbs. The Sole Intent features a single-cam system for maintenance free, accurate bow shooting. This small frame and lightweight bow fires arrows at 295 fps. A Bear Archery® compound bow that is perfect for drawing in close quarters like hunting from a blind. Most compound bows rarely offer this level of performance at this price point. The Approach does just that. This single-cam bow tunes easily and shoots nearly silent. The Approach also comes in an HC model. The Approach HC is a hybrid cam system featuring high performance from draw cycle to speed to accuracy. Approach $499.99 4 lbs. 6.25” 32” 75% 45-60 lbs. If you are just starting out compound bow hunting, or looking for a mid-range bow that comes ready to hunt, the new Species bow is perfect for you. Simple to set up and easy to shoot, this bow offers an incredible value to performance ratio. Species $399.99 4 lbs. 6.75” 31” 80% 45-60 lbs. 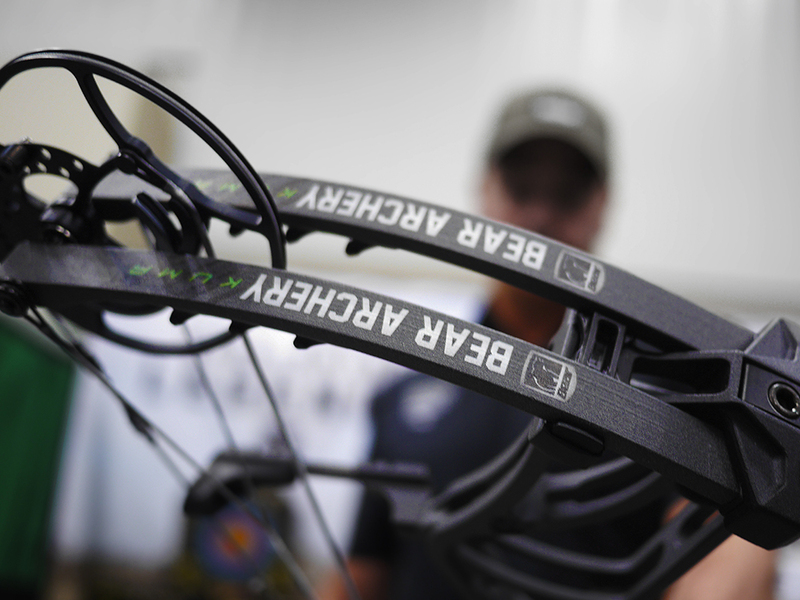 If you are looking for the best compound bow for hunting, check out the new compound bows from Bear Archery®. These innovative, high-performance bows give you top-end choices if you are looking to upgrade in 2018. Tree Stand Hacks to Use During Deer Season Raised Hunting | Does HECS™ Clothing Work?